With another heatwave around the corner I’ve got a couple more natural sunscreen reviews for you. 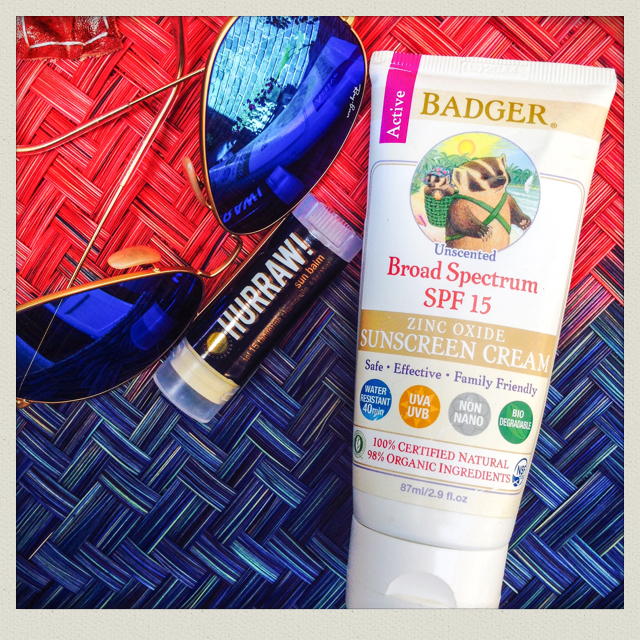 My old favourite Badger and their zinc oxide SPF 15 Unscented Sunscreen Cream and new fave Hurraw! SPF 15 Sun Balm. Using non-nano zinc oxide to achieve SPF 15, this tangerine and chamomile lip balm is as effective as it is delicious. All natural (mainly organic and cold-pressed oils), this little gem will keep your pout protected from UVA and UVB rays all summer long. Hurraw! also pride themselves on being vegan friendly (no beeswax). And, despite the premium ingredients, it comes in at under a fiver. Hurraw indeed. Natural credentials: All natural ingredients combined with non-nano zinc oxide, a mineral that protects against UVA and UVB rays. Both products contain a high proportion of organic ingredients. What is non-nano zinc oxide?